The Proellixe Vibration machine will help you strengthen, slim and energize without pain or strain. By using the Proellixe whole body vibration you can lose inches, increase bone density, improve circulation, strengthen your core & so much more! Professional athlete, celebrities, and more and more ordinary people across Europe and North America are using vibration workouts. Lymphatic drainage- lower toxins: Due to vibrations transmitted to the body using Whole Body Vibration, studies have shown a direct stimulation of the entire Endocrine system. Drainage of the Lymphatic system has shown an overall reduction in toxins in the body resulting in a sense of lightness and pleasure after a workout. Increased Overall Fitness – Increased muscle tone: As a result of the muscle contractions required in response to the WBV stimulation, muscle strength and tone increases over time. Both intra-muscular coordination is improved. Wearing weight vests, holding dumbbells, etc can achieve additional strength benefits during the session. The WBV effect on muscles is similar to that of the powered exercise devices, such as treadmills and bicycles. Stronger Bones: – Bone structure responds to exercise according to the Wolffian Law of Function. In particular, growth and maintenance of shaft and trabeculae are controlled by the strains placed on the bones. Current studies have shown that there is a strict proportional relationship between the cross section of bone and the cross section of muscle. Several studies are showing a positive effect of the Whole Body Vibration training on bone growth. Increased Flexibility: – Many research studies have been done on elderly participants who were partially immobile due to muscle tightness, arthritis, joint stiffness or inactivity. Measurable improvements in all the above areas were noted on all who completed the study. Better Posture: – When using the Whole Body Vibration. The body tries to keep the head and body steady and upright. All the muscles that keep the body in the position are forced to react to the oscillatory movements provided by WBV, thus exercising them. The variable speed of the Proellixe produces thousands of repetitions per minute, and therefore are very strong training effect. Additional reflex benefits can be achieved by adding voluntary movements such as squatting, rotating the hips, moving the arms., etc, during the WBV session. Improved Balance: – The tilting vibratory stimulation of the Proellixe evokes both horizontal and vertical balance reflexes. Studies show that this stimulation form leads to improvement of power, balance, maneuverability, and improved power in muscles that are responsible for stability, such as adductors, abductors and muscles in the pelvis region. Standing on the vibrating plate sends a 20-80 times/second (depends on model and speed setting) vibration through every cell of your body. All your neurons will then fire 20-80 times/second, sending messages to your brain and muscles. Consequently 100% of your muscle fibers will tense and relax 20-80 times/second. This creates an intensive workout at the same time as the physiological effects of a massage. Scientific research over the last 40 years has shown powerful systemic effects throughout the body from whole body vibration ranging from increased bone density, muscle strength, Human Growth Hormone, and serotonin levels, to increased circulation leading to more nutrients and oxygen reaching cells and more waste products removed, and more. Lymphatic drainage- lower toxins: Due to vibrations transmitted to the body using Whole Body Vibration, studies have shown a direct stimulation of the entire Endocrine system. Drainage of the Lymphatic system has shown an overall reduction in toxins in the body resulting in a sense of lightness and pleasure after a workout. Stronger Bones: – Bone structure responds to exercise according to the Wolffian Law of Function. In particular, growth and maintenance of shaft and trabeculae are controlled by the strains placed on the bones. Current studies have shown that there is a strict proportional relationship between the cross section of bone and the cross section of muscle. Several studies are showing a positive effect of the Whole Body Vibration training on bone growth. Better Posture: – When using the Whole Body Vibration. The body tries to keep the head and body steady and upright. All the muscles that keep the body in the position are forced to react to the oscillatory movements provided by WBV, thus exercising them. The variable speed of the Proellixe produces thousands of repetitions per minute, and therefore are very strong training effect. Additional reflex benefits can be achieved by adding voluntary movements such as squatting, rotating the hips, moving the arms., etc, during the WBV session.  Ten minutes on the plate equals 30-60 minutes of weight lifting.  Increase in hormones involved in strength, repair and regeneration; testosterone, Human Growth Hormone, and Intrinsic Growth Factor 1.  Increase in Serotonin and Norepinephrine-neurotransmitters that makes you calm and happy.  Decrease in cortisol-the major stress hormone.  Significant increase in blood flow throughout the body.  Strengthening and increase of bone tissue.  Increased number of T cells: an important part of your immune system.  Improves flexibility, mobility and coordination.  Improves training quality and effectiveness.  Reduces stress on joints.  Strengthens muscles-particularly the back/spine. The TiteFX body contouring procedure provides the next generation of non-invasive lipolysis. TiteFX provides long lasting results for an improved and smoother body contour. An unprecedented skin treatment that allows physicians to percisely provide optimal skin contraction temperatures in a manner no other RF technology can. Fractora delivers improvements in the broadest range of symptoms of aging skin including fine lines, deep lines, texture, pigment irregularities, blood vessels and redness. Fractora offers improvements for aging skin that would normally require two, three or even four different technologies. Ablation of the skin promotes skin resurfacing while untreated skin between the pins promotes faster healing of the treatment tissue. Versatility of parameters allows the user to vary the depth of ablation, coagulation and heating. Safety via on-line auto power adjust feature. The complete facial treatment series combining Fractora Resurfacing and Fractora Firm in a single session. Combine the best of tunable RF factional ablation with collagen remodeling to address all in demand facial concerns. Cellulite is characterized by the skin dimpled and often is referred to as looking “orange peel” like in appearance. Cellilite is a disease and is not curable however, it is controllable and Blue MediSpa treatments can assist with reducing it’s appearance. Cellulite occurs when the fat herniates through the connective tissue producing nodules or lumpiness to the appearance of the skin. The causes of cellulite is thought to be hereditary, genetic, diet and lifestyle however it is not completely known why some people get it and others don’t. It affects women more than men and lighter pigmented skins more than darker pigmented skins. It can get worse with age and can be visible at any weight. The good news is, Blue MediSpa treatment programs can help reduce the appearance of cellulite and keep it under control with regular maintenance. Fractora is the most advanced fractional radio-frequency treatment providing anti-aging improvements on skin tone and texture for a more radiant appearance through ablation and skin resurfacing. TiteFX uses clinically proven radio-frequency energy. RF has been demonstrated to provide tightening results on the skin. 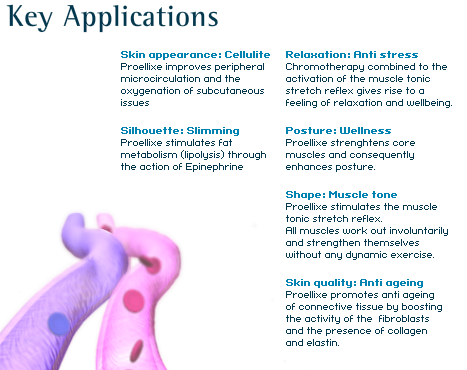 The combination of RF energy and vacuum, provides permanent destruction of unwanted fat cells. An unprecedented skin treatment that allows physicians to percisely provide optimal skin contraction temperatures in a manner no other RF technology can. ACE (Achieve, Control, Extend) is built to Achieve physician programmed optimal temperatures, Control the thermal profile and the Entend to maintain the temperature for a prolonged thermal experience, all without concerns of over heating. Finally, an RF technology with built in safeguards that overcome limitations of existing skin tightening devices and eliminate the need of external infrared thermometers. Stretch mark patients will start their body perfecting journey with a complete consultation which will explain stretch marks, what they are how to treat them. Stretch marks are characterized by stiae, which initally appear red but gradually may fade to a silvery whit colour. Commonly found around the breasts, hips, thighs, arms, abdomen buttocks and back, these stretchmarks can be difficult to conceal. Stretch marks occu when the body’s elastic fibres become damaged and “tear”. Stretch marks are not only due to the skin stretching, it can be from hormonal changes such as preganancy and puberty. Other causes can be rapid weight gain and muscle building. A double chin is a phenomenon caused by a layer of subcutaneous fat around the neck that sags down and creates a wrinkle, making the owner appear to have a second chin. There are 3 main causes of excess fat under the chin which is age, genetics and obesity. It is most common on people who are elderly or obese. A person of average weight can bear a double chin as well, depending on their bone structure and amount of loose skin. It is more visible when the bottom jaw is lowered or the head is tilted down. Obesity which is one of the main causes of a double chin especially in people under the age of 65 can usually be remedied by a change of diet and a series of different exercises targeted at the lose skin under the chin. A change of diet and a more active life style will not only get rid of a double chin but is overall beneficial to a persons health. Obesity can be a major factor for alot of people suffering from a double chin. In this instance a person should be looking to loose weight before contemplating surgery, in fact your family doctor or local GP dedicated to your health and well being should offer a natural remedy to healthy weight lose before contemplating surgery as an alternative. Surgery should always be considered a fail option. However, not only fat people have double chins. Even thin people get them, typically due to the shape of the jaw and throat. In situations where exercise won’t make a difference due to the natural shape of your chin and neck then there are other alternatives like surgery where they can proform a chin implant once the patient has lost the initial saggy chin either through natural means or surgery. We provide a wide range of quality healthcare services, all in the same location. Our family physicians provide comprehensive primary care, while our Walk-in Clinic ensures all urgent problems are dealt with in a timely manner. Patients are our customers - our reason for being here. NEW PATIENTS are always welcomed.